Next month my painting "Drinking Happy Bird", will participate in the Conroe Art League National Invitational. Of 372 pieces entered from 31 states, I was selected as one of the 72 finalist. This is the first year I've entered this competition, but it sounds like a large show. 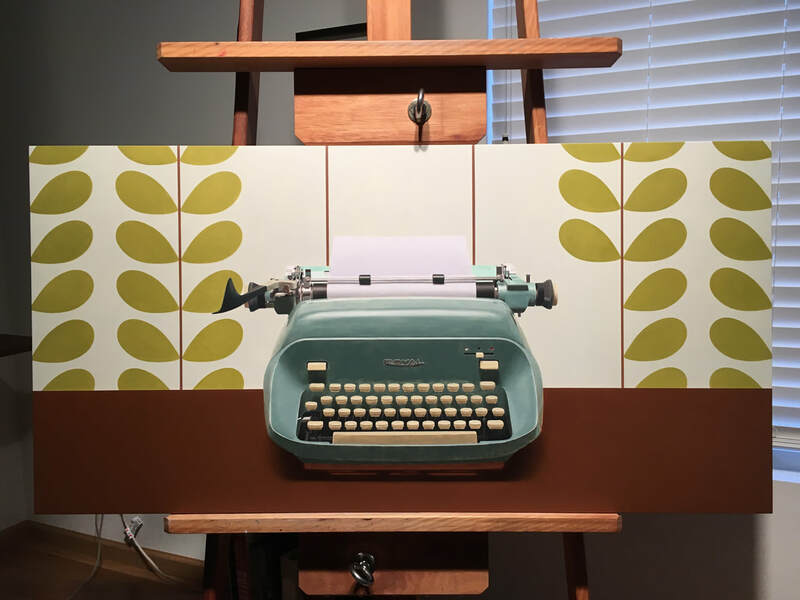 ​Happening in the studio, I'm currently working on a painting of a 1960's typewriter. It used to belong to my grandmother who purchased it new in the early 60's. There are many old typewriters from the last century, but not many have a modern, futuristic appearance like this one. Having recently come to admire mid-century modern design, I can't wait to finish this painting. 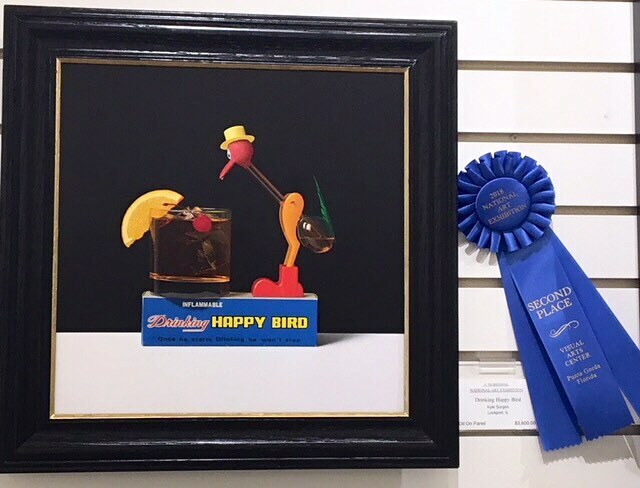 My "Drinking Happy Bird" painting has been making some noise in the 74th Annual Wabash Valley Exhibition at the Swope Art Museum in Terre Haute, Indiana. At the opening reception it won an Artistic Award of Recognition, but now that the show has ended the results are in for the People's Choice Award. 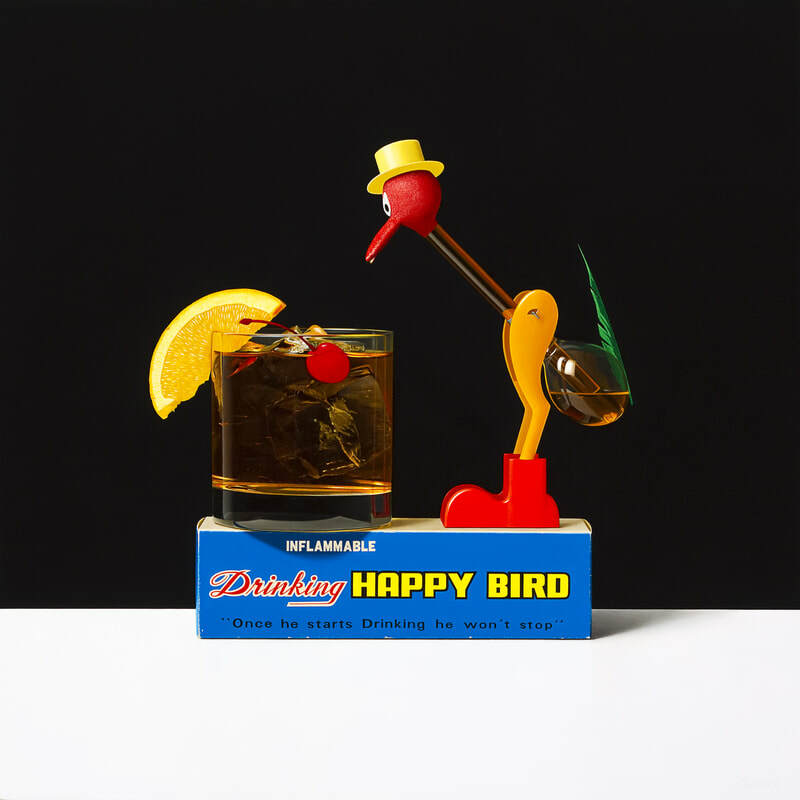 "Drinking Happy Bird" was selected among all the pieces in the exhibit as the public's favorite. It was a pleasant surprise - I've never won a popularity contest in my life lol! This painting should be coming home next week. I think I will find another show to submit it to. I've had good luck with this piece. Happy Trompe l'oeil Tuesday! Here is a painting completed just last night. This of course is a 78 rpm Elvis Presley record and it marks the 40th painting completed since I received my BFA. Some of these letters on the label are of the smallest I have painted - only 1/32" tall! The second piece in something I've been holding on to for awhile since it was a commissioned wedding gift from my Aunt Cindy to my now Uncle Jeff. Before they met, my Aunt Cindy found out about Jeff and quickly wrote those things down on a Post-It note. She held on to it and when Cindy and Jeff got engaged, she wanted to preserve this Post-It note in painting form. They were married last Friday and I can now post this painting as finished work. Congratulations to Mr. and Mrs. Jeff Holmes! 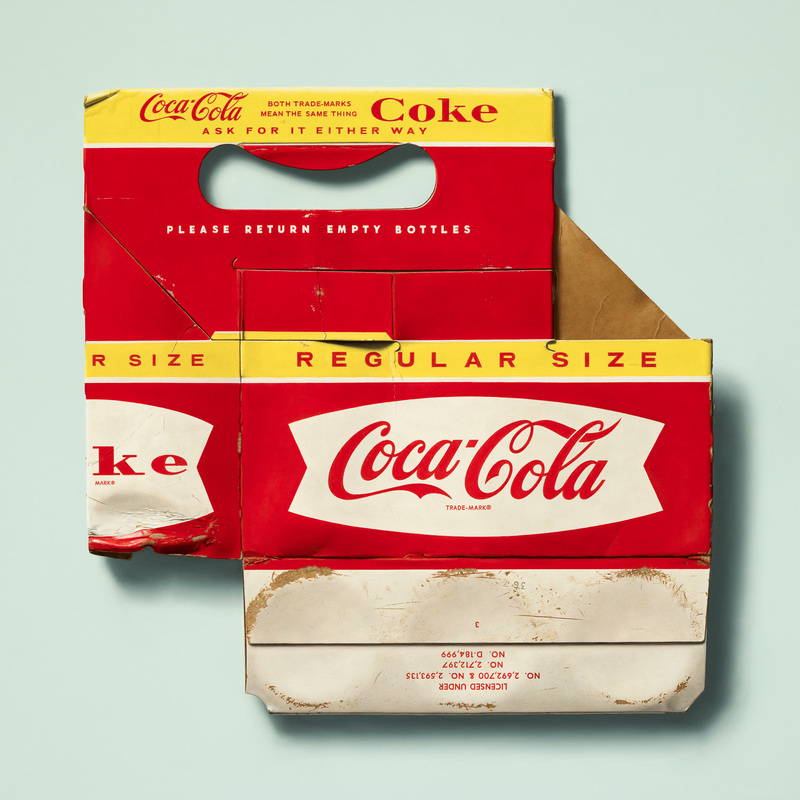 "Coke and Cooler" Finished and more! Finally!!! I started this painting over a year ago and just finished it last week. As with most things, this piece took longer than I anticipated. I worked on it on and off through out the year. It measures 40" x 32" and as always, oil on panel. The "Coke and Cooler" painting is the largest painting I've done since 2011. The original plan didn't call for a lady bug, but I thought I needed something to get the viewer closer to surface of the painting. Hopefully, I can submit this to some local competitions, and then later feature it in my next solo show. I also found some new still life material. These will be next in line to paint. Lately I've been inspired by mid-century modern items and this radio and typewriter definitely interest me. I found the radio on ebay and the typewriter was my grandma's. I really let time pass - it's been 3 months since my last post! What have I been up to? 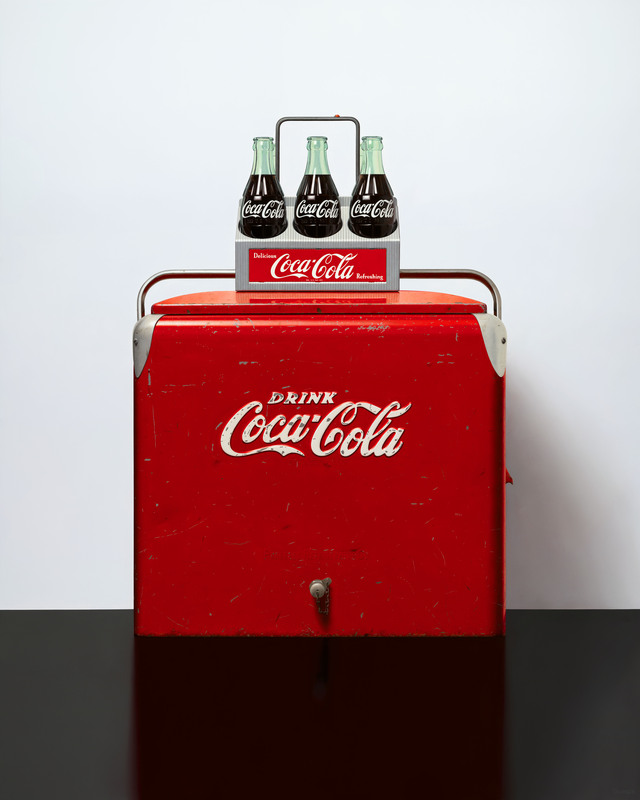 Well, I still haven't finished the coke cooler painting, but it's close. In the meantime, I painted a small commissioned piece for a family member, designed new frames for the paintings, and traveled to Jamaica for a honeymoon. I'd like to share the small commissioned painting, but since it's a surprise, I don't want to ruin it. On to the new frames. I'm tiring of my regular frames of the last 6 years. Also, I've had trouble reinforcing the mitered corners since the frame material is very thin. This results in some of the glued mitered corners cracking and coming apart. To fix this, I decided to ditch the old framing method and start using contemporary floating frames with spline reinforced corners. You can see how I did this in the pictures below with a spline jig I built to use on the router table. I also changed material from red oak to walnut. These frames definitely take more time to build, but I do like how the natural walnut looks with the paintings. Lastly, Kate and I took our honeymoon in Jamaica on the last week of April. We had a good time at the resort where we stayed, but the bus ride to and from the Airport does make me grateful to live in the US. It's nice to be back home. We did take some photos, but neither of us got shutter happy. The last two photos are from the flight home. You can see that little assembly of tall buildings is all of downtown Chicago. I won 2nd Place in Florida! Yikes, it's been 2 months since I've posted here. Mostly because nothing exciting has happened since the wedding. I'm still working on the big coke cooler painting and it's progressing painfully slow. There is probably still a few more weeks of work needed on it. I did pick up a small commission from a family member. It will be a nice change of pace to start another piece. "This is a stunning piece in all respects -- composition, drawing, color and modeling -- and it makes one smile." I'm humbled to win this award and quite relieved to have my shipping expenses more than covered. It was expensive to ship two crated painting down to Florida. $111 for the pair, one way! If you want to see what took home 1st place, click the link below. This painting well deserved top prize.